4) Socioeconomic Environment - noting the share of two-parent families, divorce rates, families living below the poverty line, unemployment rate and wealth gap. Folsom came out on top for the second time in the past 3 years. 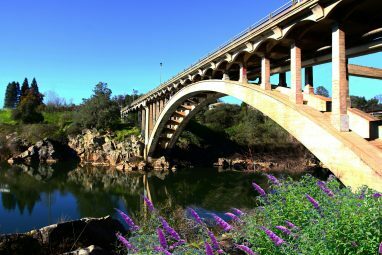 Folsom boasts low unemployment, excellent schools, beautiful parks, miles of bike/nature trails, and great only-in-Folsom events such as the upcoming FolsomLIVE! party in the street, family fun Glow Run, and old-fashioned Christmas Tree lighting and ice skating in the charming Historic District. Housing prices average tens of thousands below the state median of $600,000. In fact, a search for Folsom homes for sale shows that one can by a 2000 square foot 3 bed 2 bath home for an average of $542,285. And if you get a chance, come check out Folsom. Steve Heard, owner of www.myfolsom.com is a Realtor with Keller Williams Realty of Folsom, and a 16 year Folsom resident.